Pete Souza has an incredible job as Chief Official White House Photographer. Editing photographs, especially for a project like this, is both subjective and personal. I not only found key historic moments from the year, but also chose moments that give people a more personal look at he lives of the President and First Lady. There are some beautiful and powerful moments captured in this retrospective on Obama's penultimate year in office. Seeing the president love on the babies is refreshing! Each year since I began teaching, I've reflected on why I teach. I often share my annual poem at Back to School Night. I shared this with my students' families on September 11, 2014 at Odyssey School of Denver. I teach because I love you deeply. I’m not teaching for performance pay. that helps repair our world. I’m not teaching to the test. And you smile because you understand. Listen to Passenger for a musical and inspirational treat. His music could be the official soundtrack of Sweet Gravity. I'm so thankful I went to his concert at the Ogden. His albums are rock'n, but he's absolutely amazing to experience live. Thanks for the tickets, Kate! Mike, thanks for sharing your love & talent with the world. Mike, when will you be passing through Denver again? 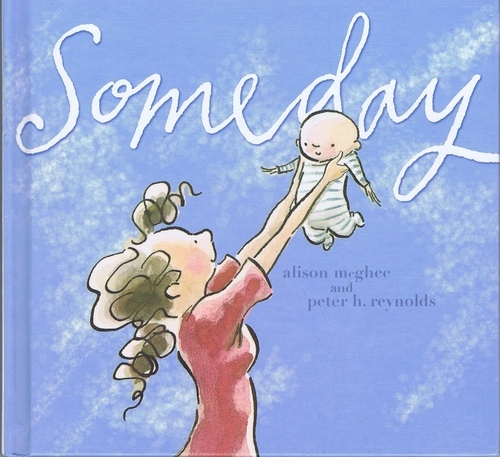 My daughter's first grade class used Alison McGhee's Someday as a mentor text to craft their own Someday books. The parents were also invited to write Someday stories to share at Exhibition Night. I read my Someday poem to my daughter's class. It is inspired and dedicated to my mother who passed away when I was 15. She didn’t get a chance to see my Somedays. Sophia, a while ago you told me that someday you wanted to grow up to be a pig. Now you want to be a veterinarian and zoo keeper. Zivi, you told me that someday you want to be a farm animal or help your sister at the zoo. Someday I want to see you reach your Somedays. But, there are Somedays and there are Everydays. Someday you want to be veterinarians and zoo keepers. Everyday, I want you to treat animals and all of nature with respect. Someday, I think all kids should feel good about themselves and not bully or hurt each other. Everyday, I want you to practice kindness and be generous with your compliments and your actions.. Someday I want a world where all kids are free from sickness and disease. Including our friend Carson. Everyday, I want you make choices that keep your body and mind healthy. Someday, I want your children and grandchildren to breath clean air, drink pure water, and enjoy the wilderness. Everyday, I encourage you to make choices to keep the Earth’s fever down and care for our lovely planet. Someday, I want every child to read good books and learn to think critically. Everyday, I want you to get a little smarter and bit wiser and make better choices. Someday, I want every child to create the music and art that is in their hearts. Everyday, I want you to find your own rhythm and dance to it. Someday, every child should be a able to play, have enough to eat, and feel loved. Everyday, I want you to feel happy, safe, and loved. Someday, I want to see you fall in love. Everyday, I want you to know that I love you more than anything in the world. There are Somedays and there are Everydays. Someday, I want to be with you to celebrate all your dreams and all of you Somedays. But if I can’t, remember that everyday I love you and everyday you make my Somedays come true.